An airliner unexpectedly comes in for a landing 20 years in the passengers’ future. 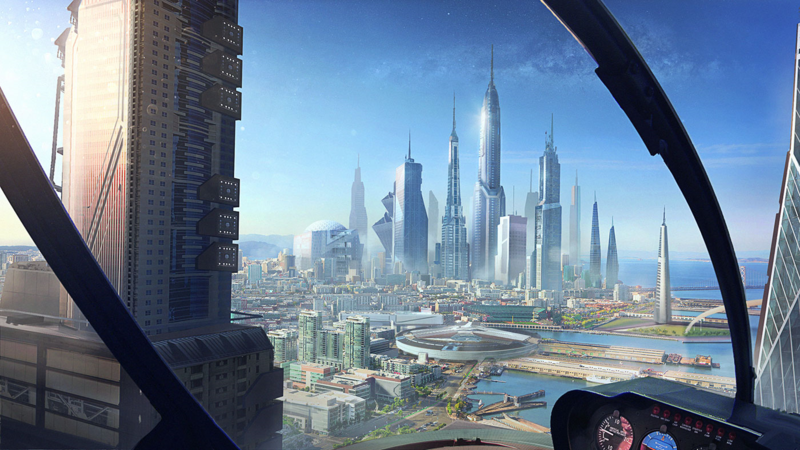 What is life like in the year 2037? What technologies and innovations are driving the changes that have happened? Leading sf authors have written point-of-view stories telling what the 22 passengers discovered when they deplaned in future San Francisco. And the XPRIZE Foundation and Japan’s ANA airline are inviting the public to write the story of the passenger in seat 14C, with the winner receiving a $10,000 prize package, including a trip to Japan, and an Honorary Membership on the acclaimed Science Fiction Advisory Council. Entries must be between 2,000 and 4,000 words. The deadline to enter is August 25 at 11:59pm Pacific Time. More information is available at the FAQ. Gregory Benford’s story about the passenger in Seat 01A, “A Surprise Beginning,” is first in the sequence. I asked him how he got involved. Kathryn Cramer called, pitched the idea. I found it fun. So wrote the story in two days, including some physics twists, with me as the protag. Fun!–the main point of writing. Of course I intend to be here in 20 years, age 96, so I just filled in the blanks. (The chopper from SFO to Lafayette BTW existed when I was there in 1970 — very handy!) I folded in some general relativity to explain the premise too. Rilly terrif idea! For speculative fiction writers, that’s the enterprise: to spend time in impossible worlds, and map those possibilities onto the real world. Because we don’t have the knowledge to know what can’t be done, that can lead into possibilities that you otherwise wouldn’t have gotten to. Technology, politics and the culture wars beset many of the passengers in 2037, such as the one who visits a bookstore in Mike Resnick’s “A New Reality,” while others get a serious dose of what used to be called “future shock,” as in Charlie Jane Anders “Trapped in the Bathroom!”, a thought-provoking story of a passenger’s encounter with near-future lavatory technology. It’s an irresistible collection of tales, and the contest winner will need a powerful imagination to fly in the company of these authors. This entry was posted in Awards and tagged Charlie Jane Anders, Gregory Benford, Mike Resnick, X-Prize by Mike Glyer. Bookmark the permalink. Also: Charlie Stross’s unofficial contribution.